As new condition, 20 hrs use! Only 20 hours use from new! Preferred equipment package including electric windlass, bow sun cushions, depth gauge, sink, cockpit shower, helm bucket seat upgrade and oak cockpit table. Canvas package including Bimini top and cockpit cover. DSC VHF radio and Garmin GPS Chartplotter with speed, depth and fishfinder. The Bayliner 642 Cuddy is a stylish and versatile model, designed with open-water cruising, lounging, swimming and entertaining in mind. We supplied this boat new to the current owner in 2016 and the includes a cockpit enclosure, trailer, teak table and cockpit cover. The boat has only 20 hours use and is in 'as new' condition! 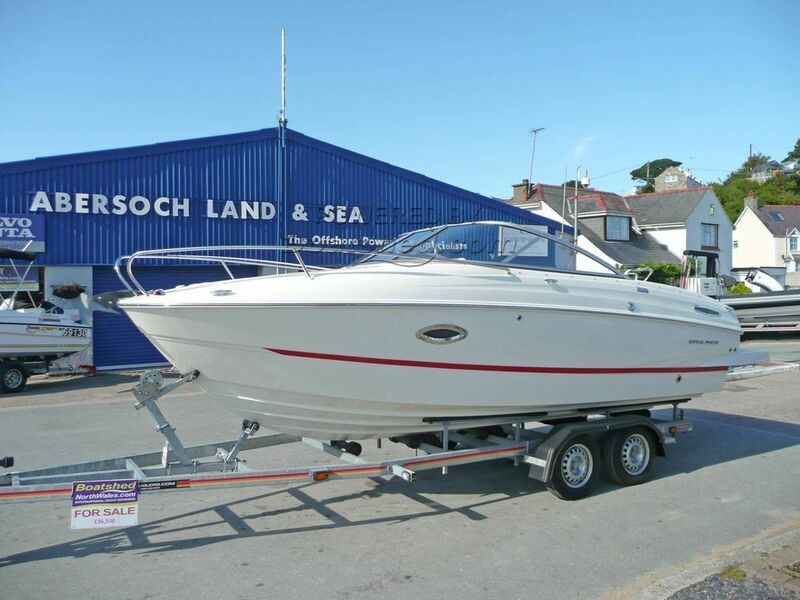 This Bayliner 642 Cuddy has been personally photographed and viewed by Chris Tindall of Boatshed North Wales. Click here for contact details.